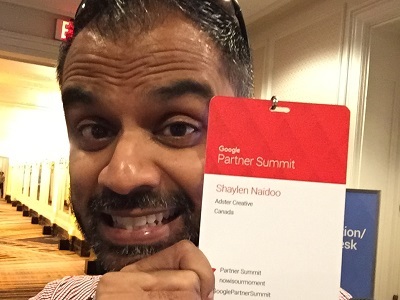 While this wasn’t Adster’s first trip to the Google Partner Summit in San Francisco, this was my first trip and I was honoured to represent Adster. It was an eye opener into the magnitude of the Google ecosystem and the sheer number of people who provide support for the tools we use to deliver digital marketing success to our clients. Lastly it was a great opportunity to rub elbows with Google Partners while gazing into Google’s crystal ball. Built on the seven Google pillars of Android, Play, Chrome, Gmail, Maps, YouTube and Search, the theme of “Commit to the Future” was evident throughout the event. 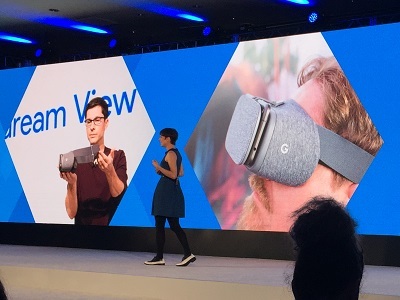 From a focus on an instantaneous access, mobile first world with Google’s Pixel Phone and the embedding of artificial intelligence (Google Assistant), to the exploration of virtual reality (Daydream View) using digital video, it’s clear that Google sees massive potential in these and other areas. YouTube is rapidly becoming the new battleground for the hearts and minds of the consumers.Primarily hearts – if you move the heart, the mind will follow, someone smart surely said! Lucinda Barlow (Global Director of YouTube Marketing) spoke passionately about the potential for digital video delivered both by YouTube and YouTube | Red (a sort of Netflix subscription approach) to move a person to act. Digital video is on track to make up 90% of internet traffic by 2019, with most people watching up to five hours per day on their mobile devices. This provides an opportunity for Adster’s clients to leverage the power of this medium with content created by themselves, or professionally, to differentiate their business. The popularity of “unboxing videos” and “how to” videos are a testament to the success that can be had in this channel. Proof positive is an Adster client who has successfully used digital video to differentiate themselves from competitors. Google’s TrueView is an excellent way to get your brand recognition on the cheap! If you can measure it, you can achieve it! The customer journey to a purchase is a winding path: each month people visit 1.5 billion physical destinations after first conducting a Google search. Users search on mobile when they get up, their desktop at work, and then perhaps a tablet when at home relaxing. Tracking across devices and offline can be tricky, yet what’s more important is knowing what KPI’s to track as a business. Having customer insights on how your product is used is critical to uncovering hidden opportunities. If you’re unsure, conduct an experiment, get the data you need and make a decision. Remember, in the digital age traditional metrics don’t always hold true, research beats best practice! Adster has developed SuperDASH, an easy-to-use reporting software, tailored to business users. It tracks and reports meaningful leads in an easy to digest format. A new version will be released soon and will offer our clients & subscribers enhanced features! See you next year Google! The summit wrapped up with a visit to Google PartnerPlex in Mountain View where we met and chatted with the very smart individuals behind the tools we use daily. Google graciously arranged some food, games and downtime in the sun before being whisked back to our hotel or the airport. All in all it was an amazing experience and with these key takeaways, plus other “NDA level” insights, Adster is confidently poised to take our clients into the bright future! As always, Adster remains ready to enable your digital marketing success. Drop us a note and tell us your goals — we look forward to hearing from you!